Carrara Marmorino has a larger grain size than the Classic Marmorino giving it a more stone like shine. Carrara Marmorino is very typical of the traditional Venetian plasters and used to create modern or old style stucco finishes.Marmorino Carrara polished plaster has a smooth finish with varying degrees of lustre depending on how much it has been burnished. Carrara venetian plaster is very smooth and satiny with pleasant light and shade effects owing to its visible workmanship, which gives it a sense of depth. OUR PRODUCTS ARE MADE IN ITALY. Unlike marble it has a single, soft colour with subtle shadings. It is a natural material made of lime and ground marble. Its principal characteristics are hardness and durability. 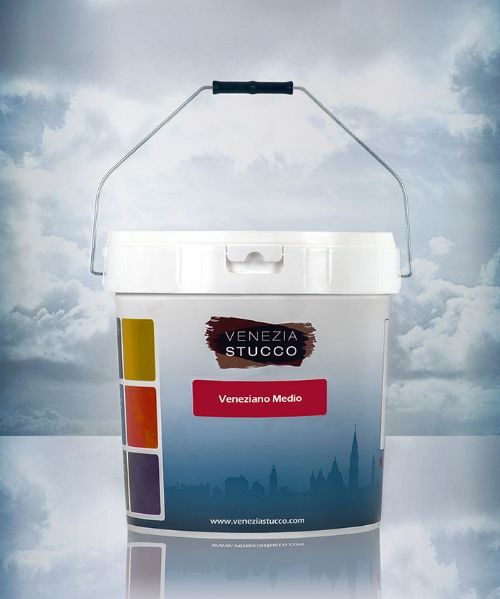 Venetian plaster is especially appreciated for its aesthetic effects; its unique appearance is especially enhanced under good lighting. Marmorino Carrara is a decorative polished plaster that is suitable for both interior and exterior surfaces. It is also suitable for use in bathrooms, where it is used as an alternative to marble and ceramic. Colours: This material comes white, or can be coloured by picking from our liquid colour additives or Concentrated Colour Tints. Normally the first coat is applied in the natural white colour.